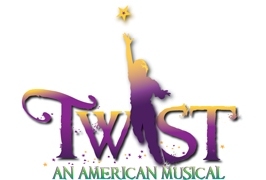 As Drake says, “Better late than never.” So here’s my review of Twist at the Alliance Theatre since I’m New Orleans-bound in just a couple of hours. Overall, the musical was worth seeing. This “twist” on the story of Oliver Twist was full of great music and great storylines. A result of an interracial couple in New Orleans in the early 1900s that experiences the wrath of a mob, Twist is born in the orphanage that his mother drags herself to while dying after watching her fiance carried off. Twist is ridiculed for being a “half-breed” by the other orphans as is sold to a funeral parlor director. During his short stint with the funeral home, Twist learns that he has a great dancing talent and shows out during a second line before running away and joining a gang of lost boys who are selling libations during Prohibition for a guy who turns out to be the dance partner of Twist’s deceased father. This guy also just happens to be booed up with the girl who delivered Twist and got a locket from his mother before she died, which the girl still had after all those years. The story becomes twisted when the gang leader, who also owns a cafe in the Quarter, is approached by Twist’s uncle, who happened to be a member of the mob who killed Twist’s parents. The uncle learns that as long as he has no proof that the baby of his sister is dead, he can’t get her part of their inheritance. So he tries to buy Twist from the gang leader, who at first, despite his girlfriend’s pleas, heavily considers the agreement. Thank goodness for the family attorney, who just so happened to love the work of Twist’s father and who has an affinity for protecting youth, who steps in and gives Twist a safe and happy home through all of this drama. 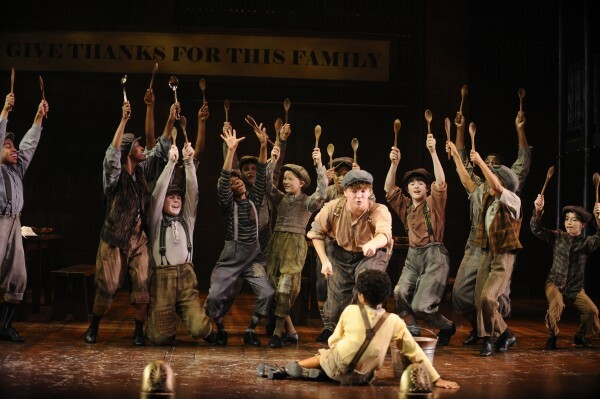 The two main issues that came up in the musical included of course, the lack of belonging for interracial people on either side of the spectrum and the need for adult influence and love in the lives of children. Now, I had a slight problem with the interracial aspect of things. In New Orleans as well as in other parts of the world, interracial people were seen as a notch up from black. So although they were not accepted by white people, they were not necessarily “rejected” by blacks–many times, they chose not to be grouped in, instead going by names like quadroon and octoroon. Interracial people in these days of New Orleans, many times had a choice between living among blacks or living in this created world of their own, where the women became concubines of Frenchmen who traveled back and forth between lands. So it kinda disturbed me that in the musical, blacks and whites were banding together (getting along although they killed Twist’s parents for banding together) to ostracize Twist. It was just a really weird dynamic. For instance, in the orphanage scene, the black and white kids were in cahoots to make Twist’s life a living hell. Now, this may have been a little more believable if the white kids were sitting at a table of their own and the black kids at the other, and neither would give Twist a seat. But for them all to be seeming to be loving each other across racial lines but hating Twist? No sense. Most importantly, though, the production did a good job of illustrating that children will accept love anywhere they can get it. Even if it’s not under great circumstances. It made me really consider what I think about whites adopting black children vs. blacks adopting them. I mean, in the grand scheme of things, there are so many children out there that need love that I don’t really think about what race the adopting parents are–I just want them to be good parents who really just want to love kids. Yes, there’s the issue of ensuring culture in a child, but I’d rather a child be placed with awesome white parents than sucky black parents (as would have been the case in the production–a single well-off white attorney who loves children and can actually tell Twist about his father’s legacy versus a black couple that is shacking up and sending kids out in the streets everyday to sell illegal liquor). But the world isn’t so black and white. There usually aren’t situations where a kid has a choice between the exact same family besides one being black and one being white. So, I just say, those of you out there who really have the resources and the time and the love to adopt a child, go for it. You won’t hear anything from me, regardless of your race or the child’s race. Again, overall, the play was enjoyable. Check out the Alliance Theatre to see what they have this season. Reads and Reels will be seeing Nacirema Society mid-November, and I can’t wait! It’s time for Halloween and my volunteer trip!